We joke that our catch phrase is “Never waste a meal, ” but on this trip it could more accurately be, ” Never waste a bite, a snack, a meal, a time in between meals, after a meal, or really any time you have a little space left in your stomach!” We tried our best to sample as many places as possible, filling our bellies just shy of gluttony. We also could not help ourselves and visited some places multiple times. The “25: 35 Short List” – these are the few establishments that we feel have a earned a special place of distinction in Portland and to which we give our highest recommendation (they are also bolded and marked by “*” before the business name). 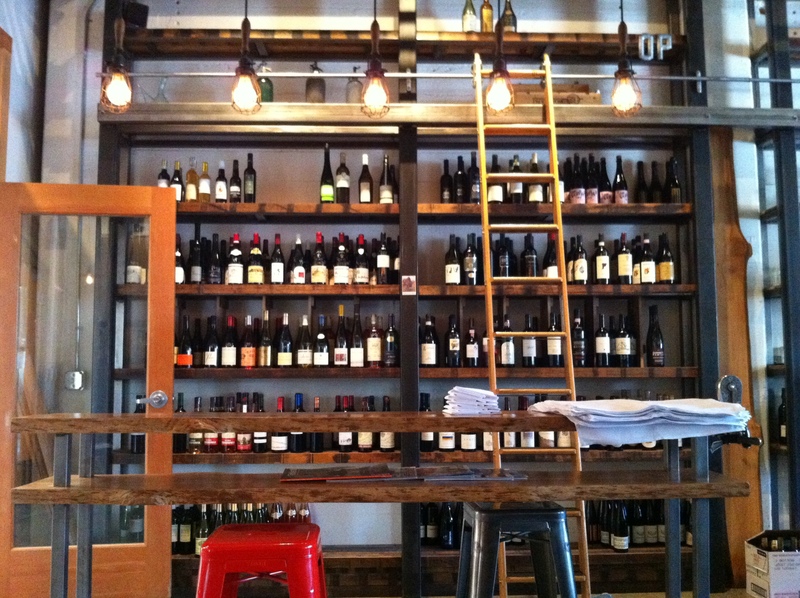 The rest of our Portland recommendations are listed below it. 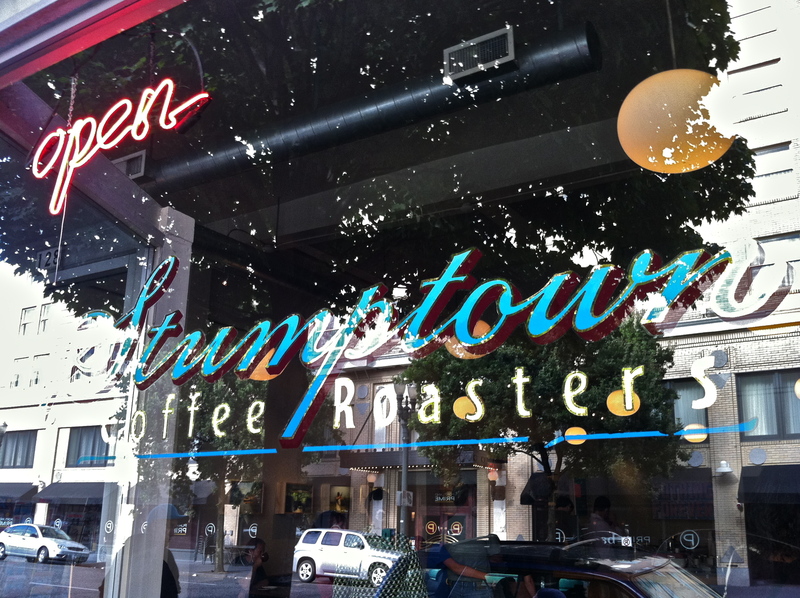 *Stumptown Coffee Roasters : what makes a perfect Espresso? Or Breve? Or Americano? We don’t know either but the folks at Stumptown Coffee Roasters know for sure. Despite our best intentions to try out multiple coffee shops in Portland – after we had their first cup we agreed to scrap that plan and start every day with their coffee. An additional bonus is that their pastries provided by little t american baker. They have several shops around town and their coffee is served at many restaurants and they are now bottling their Cold Brewed coffee. 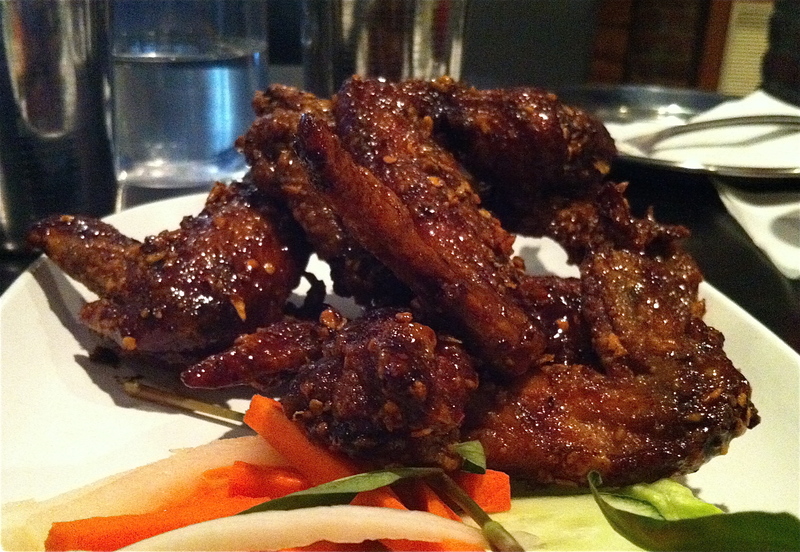 *Pok Pok : how good are Ike’s Vietnamese Fish Sauce Wings at this Thai-street food restaurant from 2011 James Beard award winning chef/owner Andy Ricker? So good that when our meal was over we realized that the only words we said to each other was “Pass me a napkin”. So good that we canceled our dinner reservations the next night so that we could come back for more. So good that we are still dreaming about them and their heavenly sticky, salty, sweet and spicy sauce. And by the way, everything else that they make is also fantastic – including the grilled corn, coconut curry noodle soup and their Pok Pok Affogato dessert – condensed milk ice cream drowned in a shot of Vietnamese coffee with a Chinese fried doughnut. *Olympic Provisions : as we walked around the Industrial District in Southeast Portland trying to find this spot we initially thought we might be lost. When we finally walked into Olympic Provisions we immediately fell in love with this fantastic charcuterie and European-style restaurant. It’s flashing “MEAT” sign, long metal counter top with glass enclosed meats of the day and wall of wine set the mood perfectly for the fantastic food that was to follow – marinated olives, pickled eggs, and one of the best salami sandwiches that we’ve tasted. It is also Oregon’s first USDA certified meat-curing facility. Also check out their website to subscribe to their Salami of the Month Club – a great way to taste each of their different salamis once a month over the course of a year. 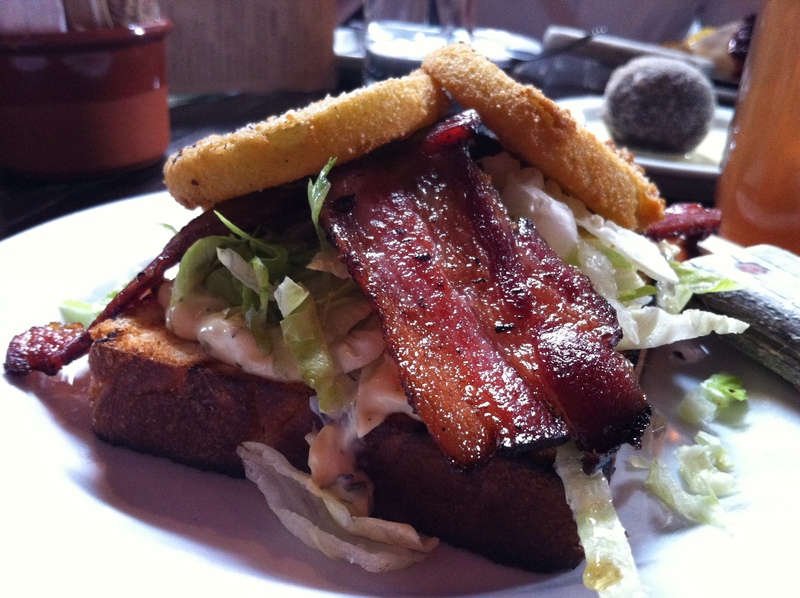 *Bunk Sandwiches : this Portland sandwich shop has achieved national acclaim for its simple yet phenomenal sandwiches. 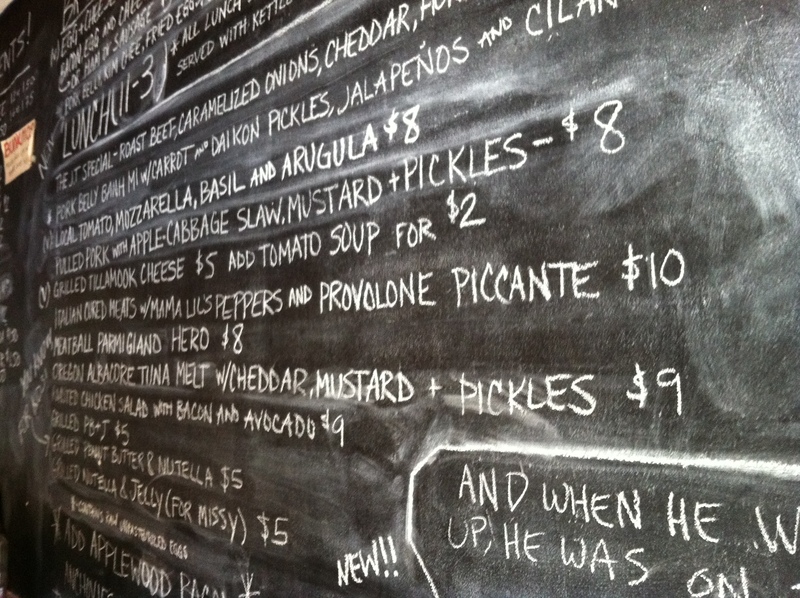 It doesn’t hurt that the spot was named after a character in one of our all-time favorite television shows The Wire. We grabbed a Pork Belly Bahn Mi and walked down to eat it by the water. After we took one bite we immediately regretted not getting another sandwich or two. They have several locations throughout the city as well as Bunk Bar which also has draft beer in addition to their sandwich menu. 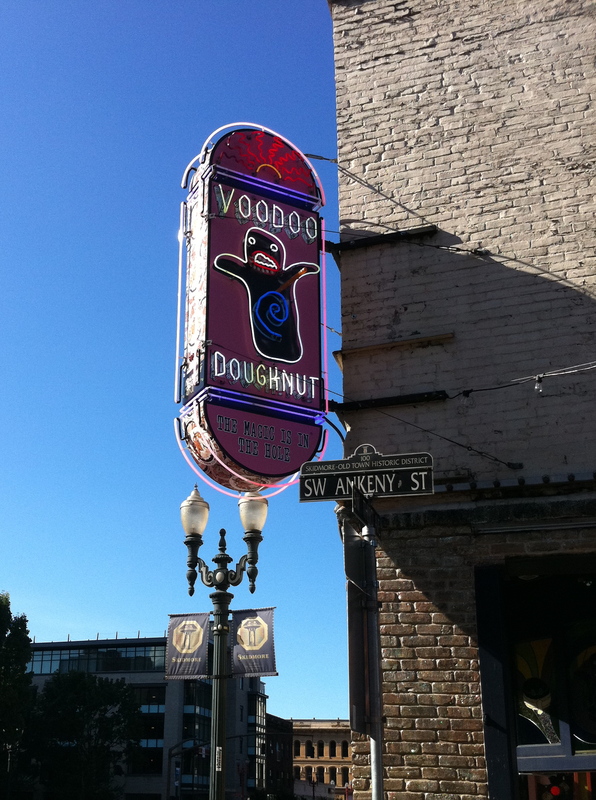 *Voodoo Doughnut : this funky doughnut shop is perhaps Portland’s most famous food landmark and we can say that the press is well deserved. Though they make everything from Maple and Bacon Doughnuts to doughnuts covered with Froot Loops to doughnuts shaped like voodoo dolls – it was their Plain Glazed Doughnut that was addictively delicious. In fact we may have gone there more than once or twice on our trip and was our final stop before we departed town. Barista: highly skilled baristas prepare quality coffee drinks from from some of the world’s best roasters. The shop itself is small and tucked away inside of a beautifully weathered old warehouse building in the Pearl District. The Fresh Pot: cute small coffee shop in the Southeast Portland area with an obvious wink to the hippie culture of Portland. Great location with it’s attachment to Powell’s on Hawthorne bookstore and down the block from Pastaworks/Evoe. 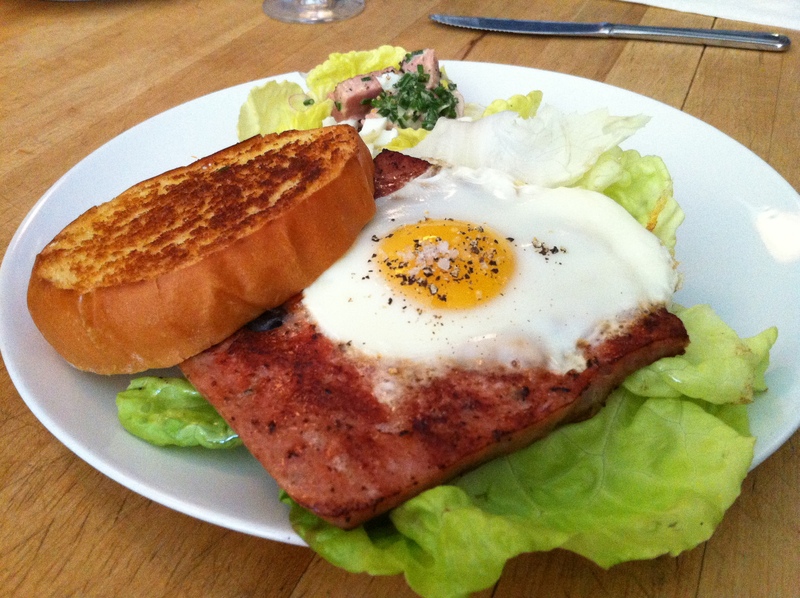 Tasty n Sons : new brunch spot in Northwest Portland from Toro Bravo’s John Gorham that is earning some praise as the best new restaurant in Portland. Similar to Toro Bravo, the two hardest things to do here are to 1. patiently wait for your turn to get a table and 2. decide what to order, as everything on the menu looks and sounds delicious. We opted for the Fried Green Tomato BLT, the Croque Madame, Toast and Jam and one of their famous Chocolate Potato Doughnuts and left full and happy. 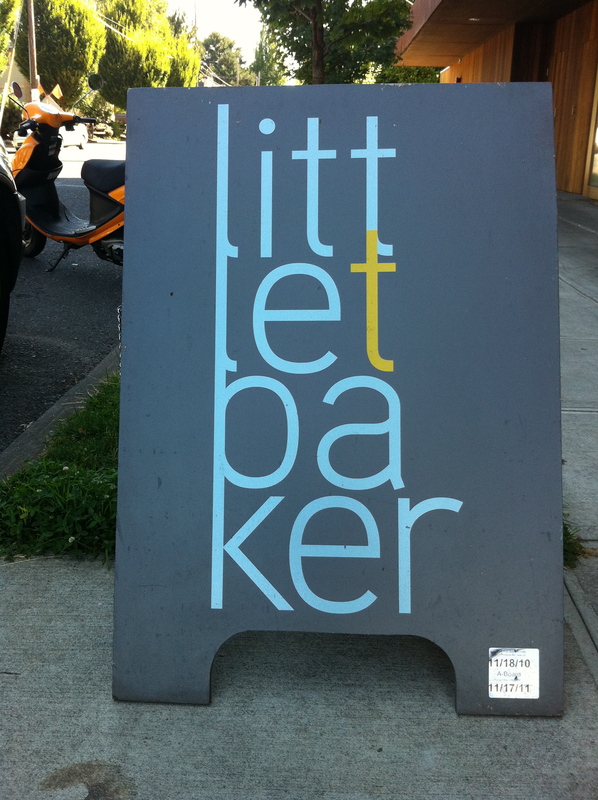 little t american baker : amazing artisan bakery in the Southeast Portland area that also serves fantastic sandwiches and brews Stumptown Coffee. 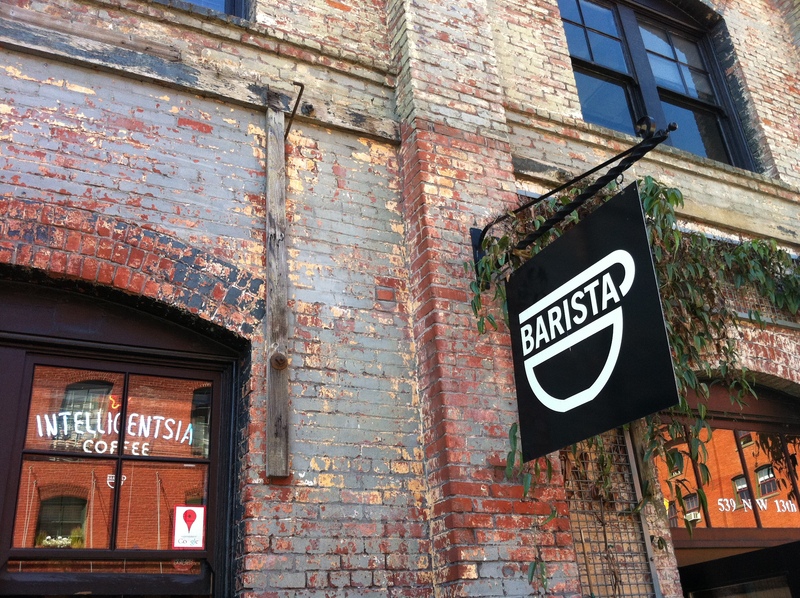 Named by Bon Appetit as one of the Top 10 Best Boutique Coffee Shops. 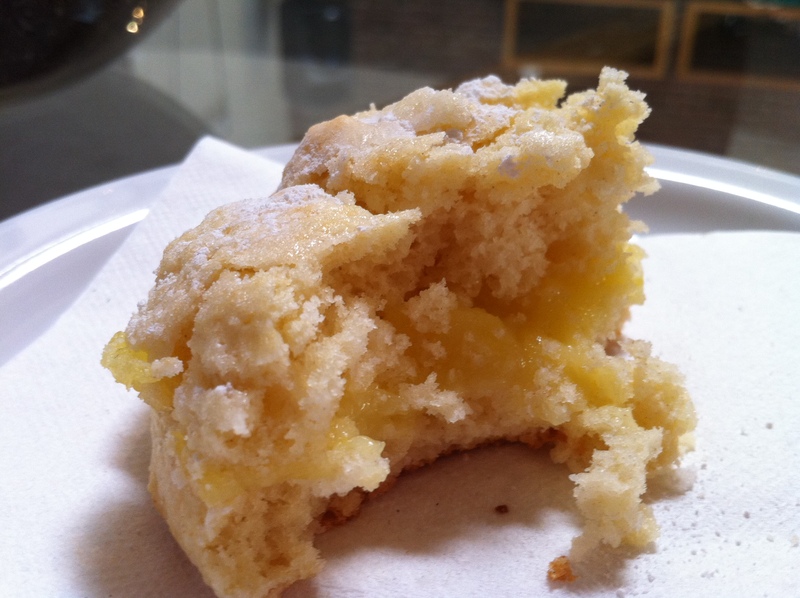 They bake the bread for the top restaurants in town and make the ridiculously delicious Lemon Curd Biscuit found at Stumptown Coffee Roasters. 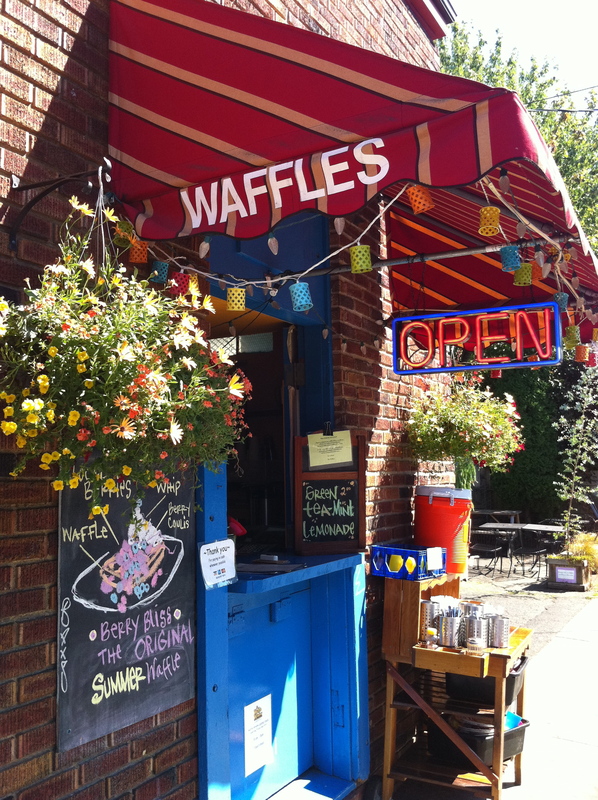 The Waffle Window : literally a hole in the wall of the backside of a restaurant in Southeast Portland that serves decadently sweet and savory waffles. Featured on Unique Eats – it seems hard to go wrong with whatever waffle you choose but we demolished the Blueberry Cheesecake Waffle – blueberry cinnamon compote, cream cheese pudding, whipped cream and graham cracker crumble. 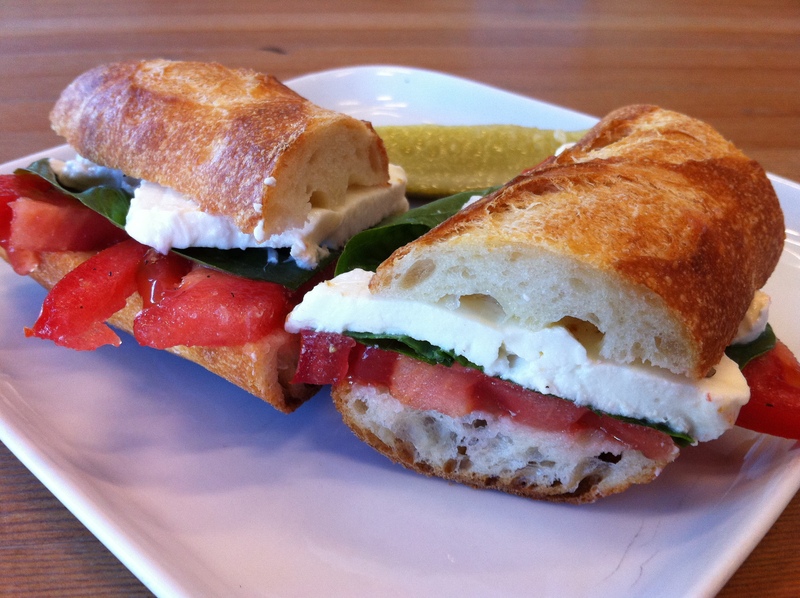 Evoe @ Pastaworks : if we could take any place from Portland and magically transport it to Nashville it may be this small counter restaurant attached to the specialty grocery store Pastaworks in Southeast Portland. Not much more than a chef behind a counter surrounded by fresh produce, cured meats, bread and cheese, there was just something about the freshness, simplicity, and authenticity of the approach and food that was so appealing. 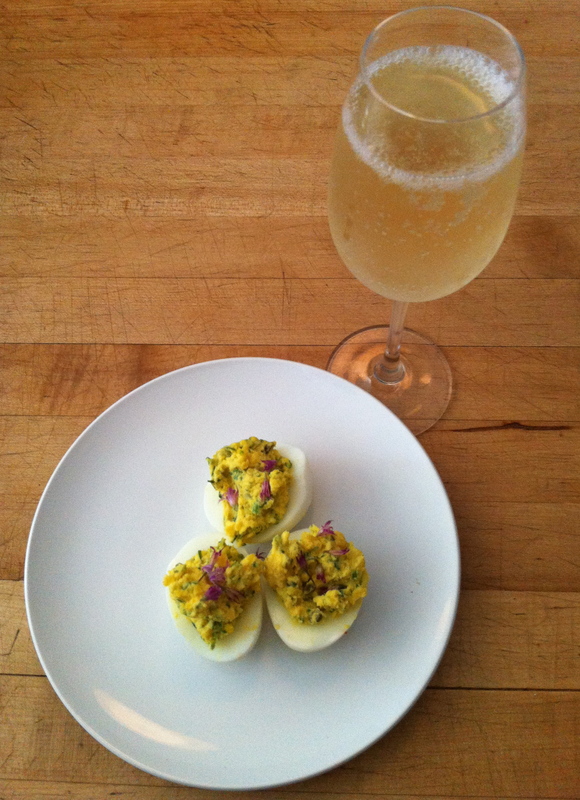 Everything from the Deviled Eggs dressed with crisp elderflower to The Bunk sandwich – a pork and beef olive loaf with an over easy egg – was effortlessly perfectly prepared. 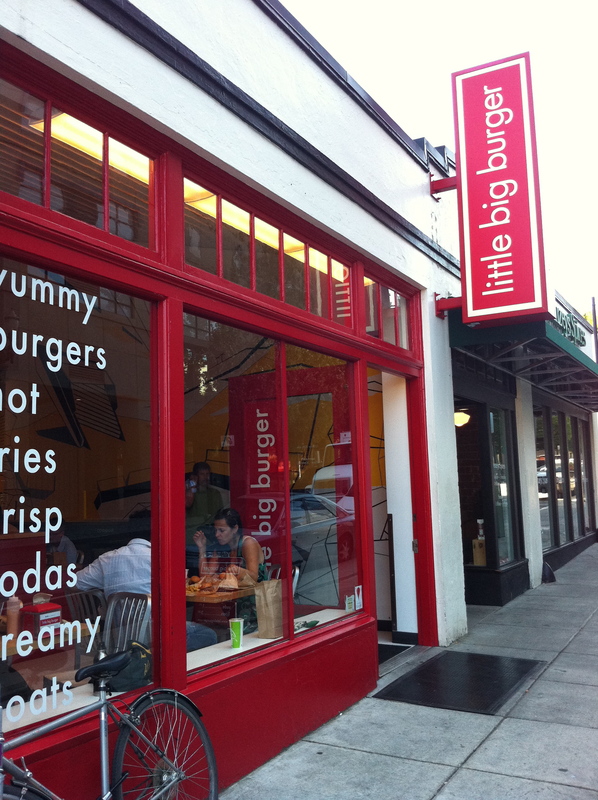 Little Big Burger : much like In-N-Out Burger this Portland burger shop/shake shack is rapidly becoming an obsession among locals. It emphasizes organic and local ingredients made to order and a simplified menu consisting of 6 items – cheeseburger, hamburger, veggie burger, fries, floats and sodas. Even though we were already full before we stopped in here we couldn’t stop eating their truffle fries. 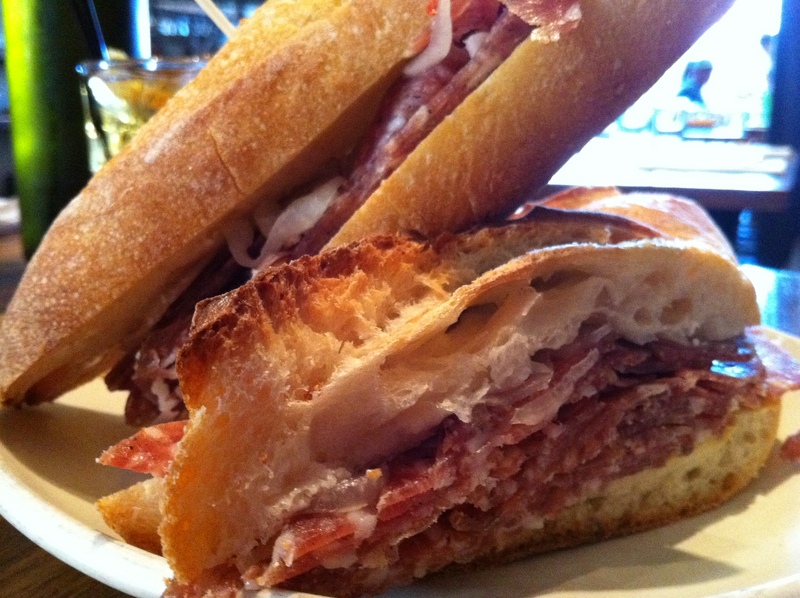 Toro Bravo : small plates reign in this wildly popular Spanish inspired tapas restaurant from Chef/Owner John Gorham. We were initially skeptical as tapas bars seem very hit or miss and potentially dated but were immediately impressed from our first bite on. We loved the Pimento de Padrons, the Zucchini Fritter and the Copa steak with it’s delicious salbitxada sauce (a garlic, pepper, almond and olive oil). 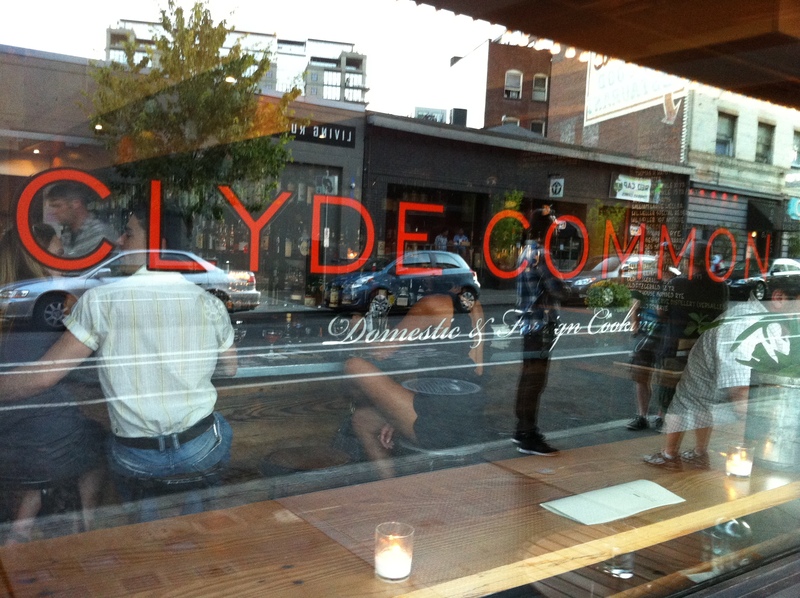 Clyde Common : this hip Downtown restaurant in the uber-chic Ace Hotel serves up some of the best drinks and food in Portland. Nothing like the typical sterile solemn hotel restaurant this spot is vibrant, open and hopping. Fantastic drinks including a house specialty of oak barrel aged Negroni and the BMOC (bourbon, ginger syrup and Angostura). Their “Domestic & Foreign Cooking” was spot on and we loved their chicharones with praline pecans, tagliatelle with cherry tomatoes, roasted cauliflower and prosciutto wrapped trout. 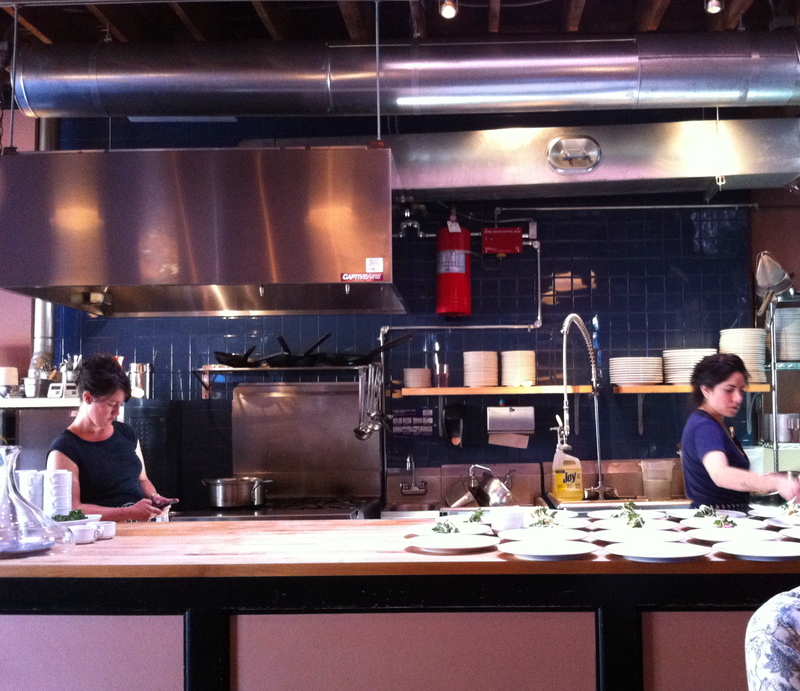 Beast : prix-fixe restaurant in Northeast Portland from Top Chef Masters contestant and James Beard award nominee Naomi Pomeroy. Menus are 6 courses and change weekly according to the freshest seasonal ingredients and the chef’s inspirations. Intimate setting with 24 seats and communal tables and the experience is quite unique as the kitchen is in the dining room. We loved the spinach veloute and the heirloom tomato & smoked herring salad. 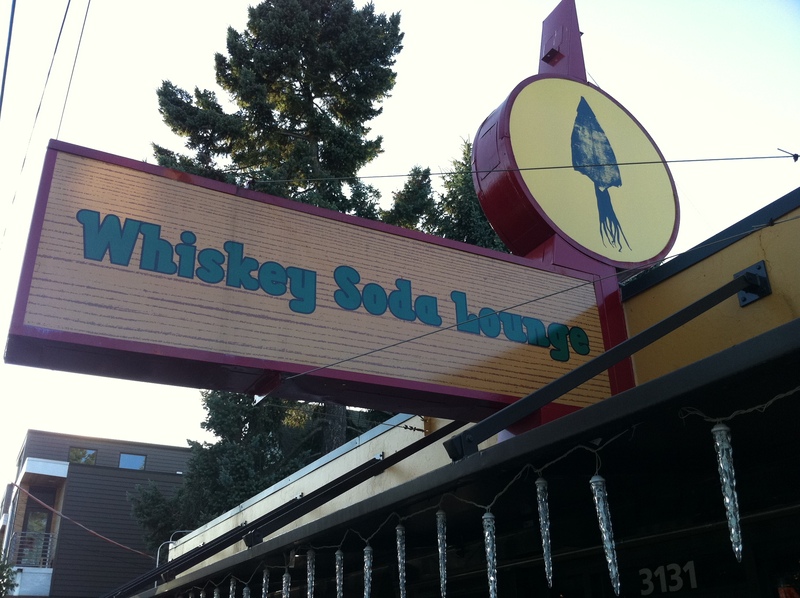 Whiskey Soda Lounge: what a brilliant idea – a cocktail lounge across the street from and owned by Pok Pok chef/owner Andy Ricker which serves as a spot to grab a drink and appetizer while waiting for a table at his enormously popular Pok Pok. 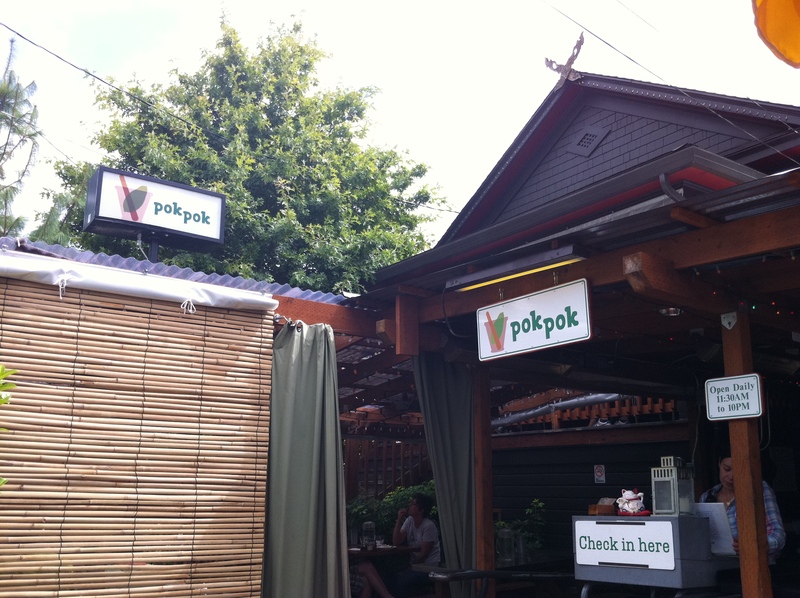 This spot has great outdoor seating and the same excellent drink menu as well as some of the more popular dishes served at Pok Pok. The hardest part is waiting until you finally get a table at Pok Pok before devouring the world’s best chicken wings – Ike’s Vietnamese Fish Sauce Wings. Their drinks are enhanced by the use of their flavored drinking vinegars called Pom Pom Som which can be added to cocktails to add a unique sweet-tart flavoring. The Khing and I (Thai Mekhong Whiskey and ginger syrup and lime) and Southside (gin with mint lime syrup) were wonderful. Bailey’s Taproom : this Downtown taproom boasts 20 rotating beers on tap – generally featuring the many top quality Oregon microbreweries. Fantastic flat screen TV with their beer menu that actually shows how much beer is left in each keg. Great selection of draft and bottled beers, fantastic prices, friendly and knowledgeable service, and all beers are $2 off if you take a bottle home. Give a try to one of the local Portland beers from Upright Brewery, Hair of the Dog or Cascade Brewing. 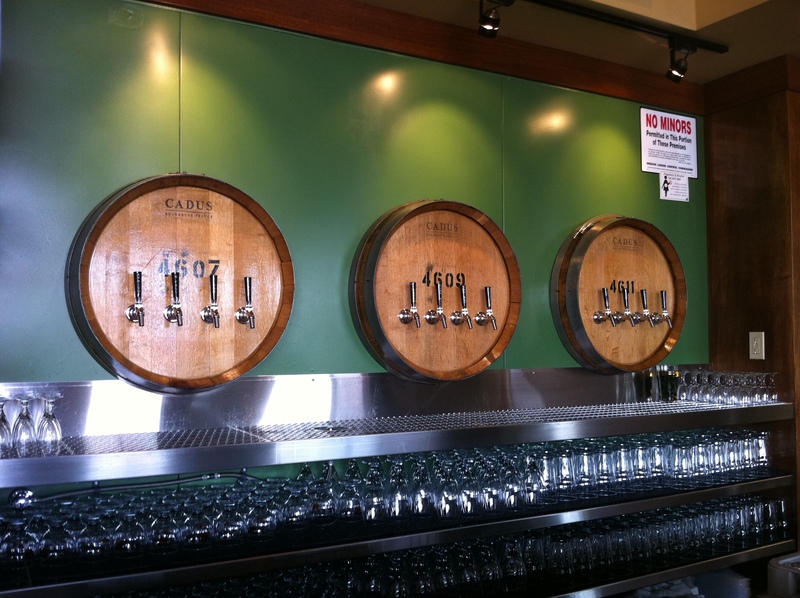 Cascade Brewing Barrel House : if you love sour ales, this is the place to be. If you haven’t tried a sour ale, this is the place you need to go to. This Southeast Portland brewery has won Gold Medals in the Great American Beer Festival for their creative and wonderful sour ales. Sour ales are more refreshing than a hoppier IPA and gives a more clean, tart and crisp taste than a Hefeweizen or Belgian White. We loved the Strawberry Ale and the Sang Royal. KASK : cozy Downtown cocktail bar from the folks who own neighboring Gruner restaurant. Snack on some charcuterie from Olympic Provisions and try one of their creative cocktails. They also have a routinely changing Krunk Punch for just $5.